This year marked an important milestone in the development of the capacity building programme for CATA as the final edition of the Workshop on Taxation of International Transactions (TOIT) concluded on 25 August 2017. After 21 years of successfully running and benefitting many of our CATA members, next year, a new edition of TOIT will be introduced. Taking into consideration the developments in BEPS and the challenges in aggressive tax planning, the CEO of Inland Revenue Board of Malaysia Mr Sabin Samitah, who is also the current President of CATA, agrees with the proposal discussed in the Management Committee Meeting that TOIT should now be split into two separate programmes; one focusing on treaty related issues and the other on transfer pricing related issues. These two programmes, each planned as a one-week training programme, will be held back-to-back to allow member countries to send different officers to each programme. Where appropriate, member countries may send the same officers for both programmes. In this way, countries can select the most appropriate officers to attend each programme. Having this arrangement also allows member countries to minimise the travelling cost if the same participants are considered appropriate to attend both training programmes. Malaysia will continue to host the new training programmes. As in the hosting of the previous TOIT for the last 21 years, Malaysia will provide free accommodation to the participants at the Malaysian Tax Academy. Meals and ground transportation will also be provided. Taking the opportunity of the presence of the Expert Resource Persons for TOIT this year, from HMRC, Mr Simon Potter, Mr John Stokes and Mr Andrew Dawson and also from ATO, Ms Melissa Ogier at the Malaysian Tax Academy, a discussion was initiated by IRBM regarding the development of new training materials. The Experts have expressed readiness to work together to develop these training materials for next year’s programmes. 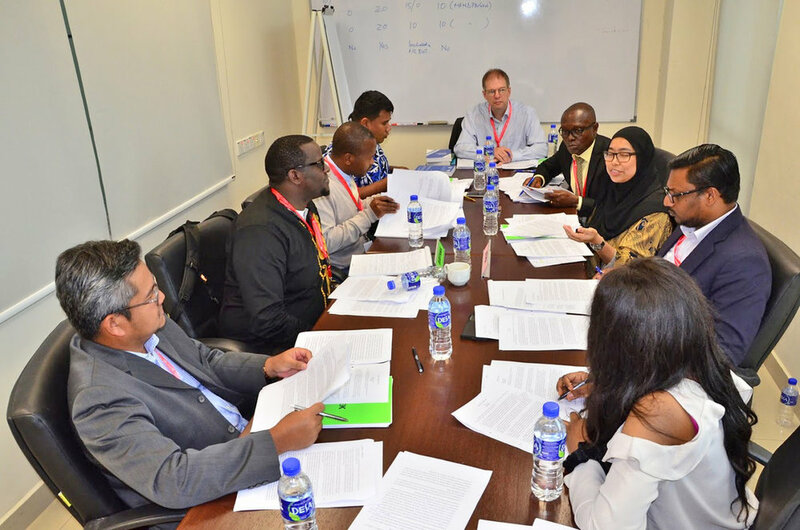 The two new training programmes, which are tentatively called TOIT-Treaty Workshop and TOIT-Transfer Pricing Workshop are scheduled to take place on 8-12 October 2018 and 15-19 October 2018 respectively. As the old TOIT comes to an end, it is most appropriate to recognise its achievement in providing the much needed knowledge and skills on international taxation to CATA members. Over the period of 21 years, 548 officers from 40 member countries have benefitted from TOIT. TOIT has not only played an important role in developing the knowledge and skills of the participants but also laid a good foundation for establishing good working relationships among the participating countries. Credit is also due to the conducive environment created by the Malaysian Tax Academy and the warm hospitality offered by Malaysia to the participants. Appreciation must be given to the member countries who have supported TOIT very strongly by providing Resource Persons, every year in the case of UK and Malaysia and every two years in the case of Australia. Other members such as Kenya have also kindly provided a resource person on invitation. Many Resource Persons have contributed to the success of TOIT yearly, and we recognize all of them. A particularly mention is due to Mr Douglas Rankin of HMRC, UK who has recently retired, for his dedication for many years in conducting the treaty week of TOIT. We look forward to the success of the new training programmes next year.